Madison County's Kitchen & Bath Specialists - Best of Houzz 7 Years! Our business is built on a foundation of hard work, prompt service, and a commitment to excellence. Offering both residential and commercial services, BBG Construction has been servicing construction needs in central Indiana for 10 years. We oversee and manage all aspects and phases of the construction process from start to finish. From planning to design to construction, every detail will be handled by top professionals. We work side by side with qualified subcontractors and designers to meet the needs of each of our clients. We have a long standing relationship with our subcontractors, and each has our complete trust. The HomeWright, LLC, a full service home remodeling company located in Carmel, IN operated by Matt Wright, CR. You will find a sincere passion and dedication to your remodeling experience, by helping you make informed decisions on product selections & explaining proper construction practices throughout your project. Great Kitchens & Baths is an all-inclusive kitchen and bathroom design and remodeling company dedicated to simplifying the remodeling process for our clients and delivering dream spaces that exceed expectations and add value to their homes. Founded in 1961 and family owned and managed by Gary & John West, we are one of the most experienced and trusted kitchen and bathroom companies in east central Indiana. Our growing business is fueled by homeowners looking for the best design solutions for their homes and the meticulousness, thoughtfulness, and caring attitudes of our employees. Every day Great Kitchens & Baths helps homeowners to: Visualize the possibilities – A visit to our showroom will let you see for yourself the products that we incorporate into our clients’ designs and the quality workmanship of our installation team from the many kitchen and bathroom displays we have built. Our friendly staff will listen to you and help get some of your upfront questions answered and show you your options. As a professional kitchen and bath dealer that specializes in these rooms, we have knowledge of the latest trends and the tools and experience to walk you through the design process, set the budget, and troubleshoot to meet your goals for aesthetics and function. Set the budget – If you’ve never done a major remodel, you probably don’t know how much to budget for. Or, perhaps you have a budget in mind and need help knowing where to save and when to splurge. We will make this process much easier for you. Throughout the design and installation process, we will work within your budget parameters, specify the best products and alert you of potential overages before it’s too late. Do the legwork – As we already said, remodeling is complicated. As professionals in the industry, and with over 50 years of experience, we know what potential pitfalls to look for in existing homes and we know how to take the right measurements that are imperative in a successful remodeling project. Now, the transformation begins. We will manage the entire remodeling process, from scheduling and coordinating products and deliveries as well as the installation process until the very last detail is complete. Realize their dreams – After the dust has settled, the end result will be a beautiful space you and your family can enjoy for years to come. A seasoned residential Design/Build contractor in the Indianapolis market, T. Morgan Construction, Inc. employs a full-time staff of professional remodelers. 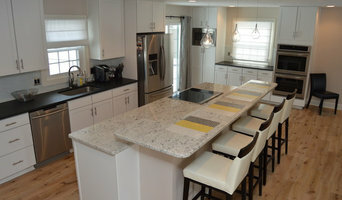 We specialize in custom projects that range from kitchens and bathrooms to whole-house renovation. Though there are times when the services of a subcontractor must be utilized, the vast majority of the work is completed by our full-time employees. What makes T. Morgan Construction, Inc. different from most other remodelers? We employ our own crews! That means that the guy who is working in your house is our full-time employee and not a random subcontractor. Though there are times when a subcontractor must be hired to perform a portion of the work on a project (i.e. electricians or plumbers or roofers), the vast majority of the work is completed by someone with whom we have an on-going relationship and commitment. We believe that relationship translates into better time management, better quality control and a better end-product for you, the customer. We are fully licensed, bonded and insured. A Certificate of Insurance is available upon request. We can also furnish a list of satisfied customers upon request. *Authorized Dealer of Shaw Floors* Our mission is to "turn every relationship into a referral." This is the foundation and core of our business. With this belief, every decision and action we take is aligned with providing the best experience for the great people of central Indiana. Home improvement isn’t just about more living space or nicer finishes -- It’s about happiness and peace of mind. Taking on a home-improvement project can have an impact on your finances and your emotional well-being—and that’s why you need the right partner in your corner. The Affordable Companies will work closely with you on every detail of your project to ensure that the job is completed to the highest standards. We serve as a trusted partner for all our clients to help make their vision a reality. With high-quality bathroom, kitchen, and flooring products as well as expert installation, ACo can manage every phase of your project. ACo can always follow through on our commitments: we don’t consider the job to be finished until we have personally reviewed all work and verified that every detail has been completed to your satisfaction. Mince Kitchen & Bath Design is a full-service design company offering custom cabinetry proudly serving Central Indiana. Not only will we provide you with cabinetry for every room in your home, we can be your single point of contact from beginning to end by project managing the entire process. We will design your space, create your vision, and manage any aspect of the project. Our goal is to transform what you feel, on time, and within your budget. Our 20+ years of cabinetry, design and project management experience will help you bring your vision to life. You will be happy with the results! Dream it, believe it, live it! Member NKBA. We bring your dream into reality.... As a premier builder & remodeling company, Keith Payne is dedicated to providing personalized unique one of kind design. His strength in form & function is what allows him to deliver unparalleled custom workmanship on every assignment. 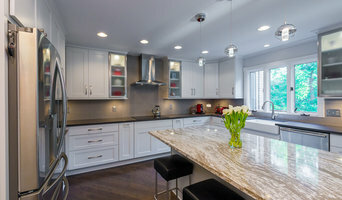 Whether you are interested in one of his unique custom homes or looking to do a bathroom, kitchen or full house remodel; quality, attention to detail and well thought out design is the basis of Keith's business model. He offers a wide range of services to meet your project needs and ensure durable cost effective workmanship. Keith prides himself on maintaining open communication with his clients during their project to keep them up to date on the status of their job. He does this to guarantee that the project is completed according to the client's design preferences. His design process revolves around understanding his customers goals, wishes and dreams with regard to new construction or home improvements. ARHI Bldg & Remodeling is not the fastest nor the cheapest, however we will provide the highest quality in design & workmanship as related to cost verses value. We strive to exceed beyond your expectation, which to us is the basis of true customer satisfaction. Call or email us today to schedule a time to discuss your project! Chateau Kitchens & Home Remodeling help turn our clients' dreams into reality. Our clients are primarily located in the greater Indianapolis area, but we have done work for clients across the United States. We can work with almost any budget from $10,000 to $150,000. If you can dream it, our team can design and build it. Kitchens is where we got our start, but we now do so much more! Bathrooms, bars, ceiling beams, entertainment/media centers and custom furniture are just the start. Rosalind Brinn Pope, ASID holds a bachelor of science in Interior Design from the University of North Carolina in Greensboro. With over 20 years of professional experience designing beautiful and comfortable home interiors, you can depend on her expertise for all your project needs. As a member of the American Society of Interior Designers (ASID) Rosalind belongs to the country’s oldest and largest professional association for Interior Designers. Rosalind’s talents were recently displayed as co-designer of the 2010 Indianapolis Monthly Dream Home. She was also featured in the January/February 2016 edition of the Sophisticated Living Indianapolis Issue. Richard’s Kitchen and Bath Center, a kitchen and bath design firm located in Muncie, Indiana, has been serving east central Indiana for over 40 years. With numerous awards from national design competitions, Richard’s Kitchen and Bath Center translates your design needs, personal tastes and lifestyle into the functional home environment you desire. Professional design service, dedication to excellence, unparalleled integrity, and outstanding service are the keys to success in a family owned business and with over 40 years of business we can proudly say that with Richard’s Kitchen and Bath Center…there really is a difference!! With over 20 years experience, we offer our clients a full service experience from concept to completion. We are a high end design firm and cabinet supplier that likes to be on the cutting edge. Although our custom lines of cabinetry cater to clients with a discerning taste we also offer custom cabinets that can meet almost any price point. 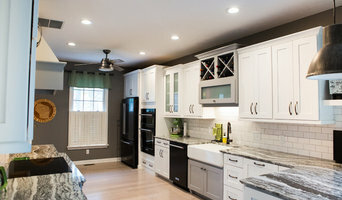 Why do I need a professional who specializes in kitchen and bathroom renovation and design in Country Club Heights, IN? While looking for Country Club Heights, IN bathroom remodeling contractors or kitchen renovation experts you may often find professionals who specialize in both rooms. This is because these space have a lot in common. Kitchens and bathrooms include an abundance of fixtures that require careful planning and installation, including sinks, faucets, tubs and toilets that all need water hookups and drainage. They also use similar materials, such as tile and stone for countertops and flooring, due to the nature of their use. So it makes sense that professionals who works on the kitchen remodel and design also works on the bathroom construction or redesign. What do Country Club Heights, IN kitchen designers or bathroom remodel professionals do? Bathroom designers, as well as kitchen designers in Country Club Heights, IN, are constantly staying on top of trends in the ever-changing industry. The designers know the best layout for your room, and can configure the layout for optimal functionality and utilization of the space. In the kitchen, the refrigerator, stove, and sink should be laid out in relation to one another, and it should be seamless and easy to move from one to the other. A kitchen and bathroom designer in Country Club Heights, IN will know how to work with a contractor and architect to plan the flow of the room to work best for your needs. Most bath & kitchen renovations involve architectural plans from page to reality; these contractors are also trained to provide design services so that you don’t have to hire a separate pro. Like a general contractor, a Country Club Heights, IN kitchen and bathroom remodeling contractor is responsible for hiring and supervising subcontractors and providing materials when necessary. Find a bathroom and kitchen designers and renovator on Houzz. Narrow your search in the Find Pros section of the website to bathroom and kitchen designers in Country Club Heights, IN. You may also look through photos of spaces to find kitchens or bathrooms you like, then contact the bathroom or kitchen designer who worked on it.